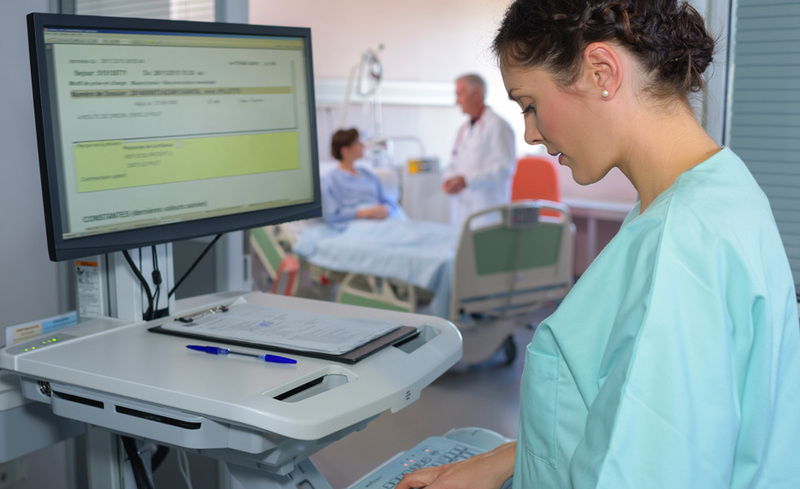 Medical transcription is a vital part of the patient care process. Professionals in this role are making a difference to the patients who depend on accurate medical documentation of their diagnosis and care, and to employers who depend on highly qualified and reliable specialists to complete their work in a precise and timely manner. Medical transcriptionists, sometimes referred to as healthcare documentation specialists, create reports and other administrative documents from dictated audio recordings from physicians and other healthcare providers. In the Certified Medical Transcriptionist course, you will develop skills using online simulations and learn about speech recognition software and its impact on the medical transcription industry. This course will also prepare you to take the Registered Healthcare Documentation Specialist (RHDS) exam. The exam fee is included in the course. You will also learn how to edit information for grammatical errors and ensure the correct, proper usage of medical terms in a patient’s records. You learn the importance of maintaining confidentiality in accordance with HIPAA and reporting accuracy in accordance with the Association for Healthcare Documentation Integrity (AHDI). You will also receive in-depth training on medical terminology relating to anatomy, physiology, disease processes, pharmacology, laboratory medicine, and the internal organization of medical reports. During this course, you will put into practice your knowledge of proper transcription formatting and medical terminology through case studies that cover a wide variety of medical situations. You will practice transcribing real medical reports that include medical procedures and treatments; consultations; operative, pharmacology, and radiology reports; and death and discharge summaries. This intensive hands-on training will help you develop your listening, attention to detail and time management skills, which are strong qualities that employers are looking for from candidates. A. An introduction to the medical transcription industry. A. In this lesson, you will learn the importance of the confidential nature of medical records, and how HIPAA applies to the role of the Healthcare Documentation Specialist. A. When changing the spoken word to the written word, knowledge of English grammar and punctuation, is vital. In this lesson, you will brush up on your English grammar and punctuation. A. A good understanding of medical terminology is crucial as you prepare to transcribe dictation into words. In this lesson, we will review word building methods and recognize the components of some common medical words. A. In this lesson, you will learn many of the common medical terms used most often and get a chance to practice them through fun games. A. In this lesson, we will introduce you to the science behind pharmacology. You will be given an overview of the medication names, dosages, routes of administration, accepted and unaccepted abbreviations, and how to make sure the medication is transcribed accurately in the context of the medical report. A. The purpose of this lesson is to help you understand the role of the HDS in maintaining the integrity and professional content of the medical record. You will be provided with an overview of report types, report components, and report formatting. A. In this lesson, we continue to concentrate on report formatting, an important part of transcribing professional reports. The chapters in this lesson will help you learn about formatting guidelines, medical terminology abbreviations, and the use of different styles of numbers. A. This lesson will prepare you for actual transcription of medical dictation by reviewing your workspace and necessary equipment, practicing the three-pass technique, recognizing what content to edit without changing context of a report, and finally checking your work. A. It is time to begin transcribing physician-dictated reports. In Case Study 1 – Reproductive System, you will focus on the terminology in the glossary followed by emphasis on listening to voice files and transcribing what is heard. You will begin using your reference materials and editing and proofreading skills to produce accurate and well-formatted medical reports. A. In this lesson, you will focus on the terminology in the glossary. You will then transcribe the voice files followed by editing and proofreading your reports. A. In this lesson, you will transcribe chronic care medical reports that relate to various medical specialties. These reports demonstrate variations in style, format and content. A. In this lesson, you will edit reports created from speech recognition software using the methods and skills learned in Lesson 25. When enrolling in this course, please take Medical Terminology as the first section, prior to taking Medical Transcription. PC: Windows 8 or later. Microsoft Word 2013 or later. Paula Kelley, CMT, has been an independent medical transcriptionist since 1992, obtained her Certified Medical Transcriptionist (CMT) certification from the Association of Healthcare Documentation Integrity, and a facilitator since 2010. Paula has an extensive background in healthcare. She started her career as a cardiology and X-ray technician. After a move to a large city in Northern California, she found herself continuing in the healthcare field as an office manager where her transcription career began. Ms. Kelley used her experience in the different healthcare arenas to begin her own home-based digital medical records management business. This included transcription of dictated voice files, setting up medical offices with dictation equipment, and assisting with the startup of electronic medical records platforms. Yes, ed2go courses are online, so you never have to actually travel to the school. Most schools offer telephone or online registration. Upon successful completion of the program, you will be awarded a certificate of completion and will be prepared to take the AHDI RHDS certification exam. This course will provide you with the skills you need to obtain an entry-level position in most cases. We do not offer direct job placement services, but our instructors and career counselors will help you build your resume and advise you on starting your career. Instructors can also be used as a professional reference upon course completion. However, you should always research the job market in your area before registering. If you have questions that are not answered on our website, please feel free to contact us via LIVE CHAT or by calling us at (855) 598-3856. If you are visiting us during non-business hours, please feel free to send us a question using the Contact Us form. This course is open enrollment, so you can register and start the course as soon as you are ready. Please note: Once the course curriculum is accessed online or through submission of a material shipment confirmation, refunds cannot be issued. Access to your course can take 24-48 business hours. Yes, the program prepares you to take the AHDI Registered Healthcare Documentation Specialist (RHDS) exam.